Brand Activation what is this? Brand activation is core to many of the things we need to do today to build a stronger brand connection with our customer and audience. 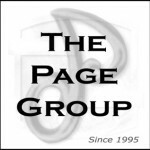 The Page Group believes that every social media campaign, every ad campaign, every connection we make with a potential or existing consumer must create some form of activation to be successful. But in the end it is all about building brand awareness and consumer confidence in what your brand reflects, stands for , and represents. Brand activation is just another one of those fancy marketing phrases, right? Brand activation is the strategy behind how marketers are creating engaging audience conversations. Whether via social platforms, experiential marketing, or native advertising, the end goal is not to push products but to engage consumers in an experience that builds brand awareness. The recent 2016 Olympic Games in Rio de Janeiro offers a pair of solid examples: Car manufacturer and official games sponsor Nissan created inspiring athlete videos and a 40-foot bungy jump for tourist use. Post-Olympics, Nissan reported 2.4 billion Twitter impressions and 4,000 global articles. Equipment supplier Technogym also got involved through its “Let’s Move for Rio” social campaign, creating beach gyms and donating equipment based on logging people’s “moves” through its cloud-based recording system. Post-Olympics, 49 million moves were collected and 22 gyms were outfitted accordingly. Increasing customer engagement and participation, however, are not new, so what tactics are getting the best cut-through for marketers across the APAC region? Here are five brand activation trends achieving successful results. Artificial intelligence has started to resonate with marketers and, surprisingly, in complicated industries, such as banking and finance, which are incorporating the technology to improve customer experiences. As leader of ANZ’s digital sales and marketing team, Chaminda Ranasinghe has made streamlining the customer journey the bank’s main priority. New players in the social platform space are continuing to emerge and challenge the established giants, such as Facebook and Twitter. Some, such as China’s WeChat and Russia’s VK, have carved out large shares of their own country’s social platform market. Social platforms are attractive for marketers looking to expand into a local market because they provide a one-to-one communication channel with a mass audience. A good example of a successful creative campaign was Burburry’s exclusive experience for WeChat followers to view the Fashion Week Autumn/Winter Womenswear show. Users received exclusive audio, photos, and text messages from celebrities. In China, WeChat dominates social media platforms with 800 million active monthly users–a number that is hard to ignore, said Graham Fink, Ogilvy and Mather’s chief creative officer. However, Fink warned that engagement will not come by storming the platform with a generic message; communication needs to be customised. What works in one province in China, for example, won’t always work in another, he said. Audience segmentation, specifically gender targeting, is making a resurgence in marketing plans. According to Bec Brideson, a gender marketing pioneer who assists companies to better target women–who account for 50% of the world’s population and is worth $24 trillion annually–that group is overlooked strategically and underestimated in value. In fact, she said, many brands still market to women through a male lens. But others are getting it right when they back appropriate causes that create engaging experiences for female consumers. “There’s the ‘Like A Girl’ ad, which has been a phenomenal success and questions what it means to run like a girl,” Brideson pointed out. Native advertising has had a poor reputation for placing awkwardly branded advertisements on your favourite media channels just to annoy, but that perception is finally changing. Ian McClelland, managing director of The Guardian Australia, said he is seeing huge growth in its native advertising stream. “There’s a desire for brands to engage more with their audiences–to tell stories and to properly communicate and participate in two-way conversations,” he told the CMO Show in the spring. By stating exactly which stories have been written or paid for by brands, The Guardian has successfully implemented a native advertising model without turning off its audience, McClelland said. Native advertising won’t necessarily work for every brand and should be assessed as part of your holistic marketing approach, McClelland added. Frontline staff are the face of the company, which means training and investment are both necessary to keep them on-brand. This is especially true in retail, where empowering frontline staff should be a main priority, said Emma Sharley, director of Emma Sharley Consulting and an experienced brand marketer.